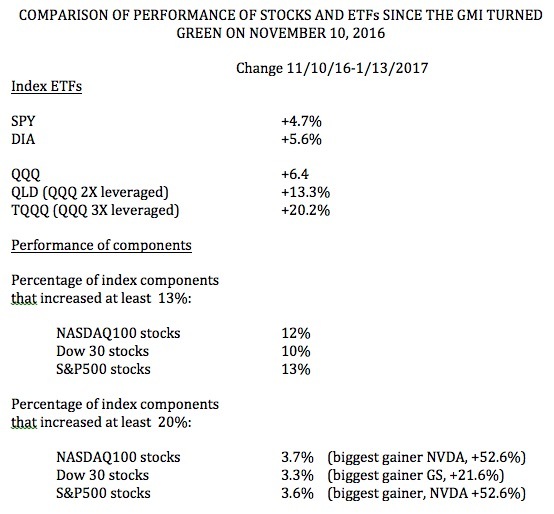 I wanted to examine how the index ETFs have performed since the GMI (my General Market Index) turned green on 11/10/2016. The GMI components mainly measure momentum in the QQQ so its signals should probably work better for nonfinancial growth and tech stocks contained in the NASDAQ 100 index (measured by the QQQ). 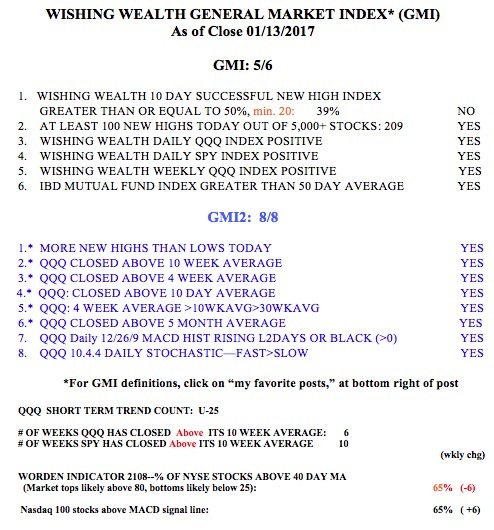 The GMI remains green with 5 (of 6) components positive. Do you have performance stats for how the strategy did in 2016?